Find something you love to play. Playing your instrument should be something that sparks joy in your life. Playing the same exercises every day can be quite helpful, but it can be difficult to stay inspired if you play the same exercises the same way every day. You should always cover the fundamentals (whether you think you need to or not), but playing fundamentals should not mean playing like a robot. My former trombone teacher, M. Dee Stewart, used to say “I never play exercises. I always make music.” What he meant by this is he never simply goes through the motions, but he always strives to get the maximum musical potential out of every note. Always approach your instrument with a clear musical idea, and practicing will become less of a chore and more of a release. Set goals. Head into every practice session with a game plan. Isolate your weaknesses and set short term and long-term goals. Range, flexibility, tone quality, agility, and any other measurable aspect of your playing will develop incrementally over time. It’s unlikely that you’ll add an octave to your range over the course of a summer, but by setting small goals and practicing consistently, you will set yourself up for success. Strive to improve at least 1 percent each day. Set a schedule. Maintaining your abilities does not mean having to spend 5 hours a day in the practice room. In fact, if you are spending that much time practicing you probablyneed to reconsider the efficiency of your practice regimen. Set up a realistic practice schedule that you can keep. Once you have set up your weekly schedule start making a daily practice agenda that will help you meet your goals. Collaborate. Personal, individual practice is crucial to developing your technique. Collaboration with others is the key to becoming a more expressive musician. Listen to an interview with a successful athlete, and you will often hear them say how they spent as much time as possible playing with others for fun during their formative years. Musicians are no different; take advantage of the opportunities to make music with your friends as much as you can. Don’t fall behind on maintenance. As much as we hope you will play your instrument daily over break, we realize some instruments might not see the light of day between May and August. 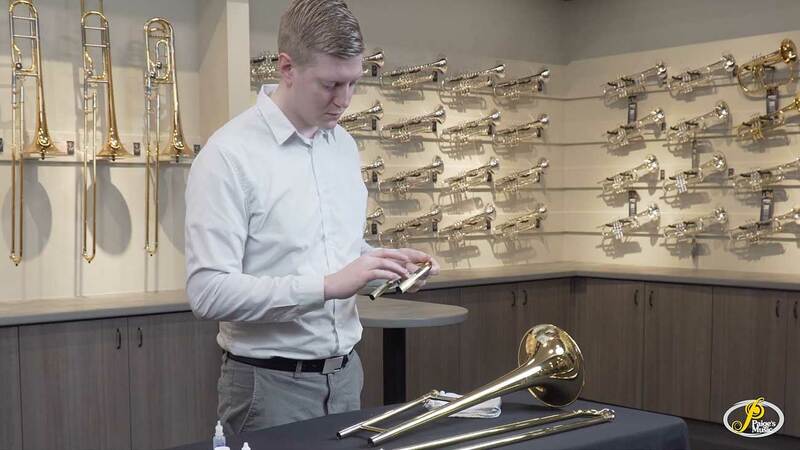 Your instrument needs to be maintained. Sitting in the case for extended periods can be hard on it. If you plan to take some time off from playing make sure at a minimum, you clean your instrument thoroughly before putting it in its case. Any debris left in the instrument can lead to issues, and as the oils and lubricants dry out the valves and slides can become stuck.